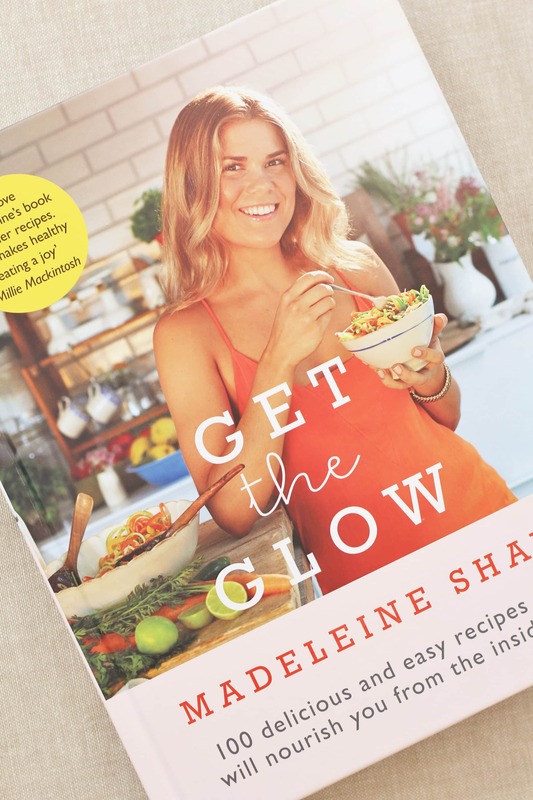 Madeleine Shaw’s Get the Glow is a fabulous, inspiring recipe book full of easy recipes that are delicious AND good for you! As you probably know by now, I am trying to improve my diet and get healthier this summer. 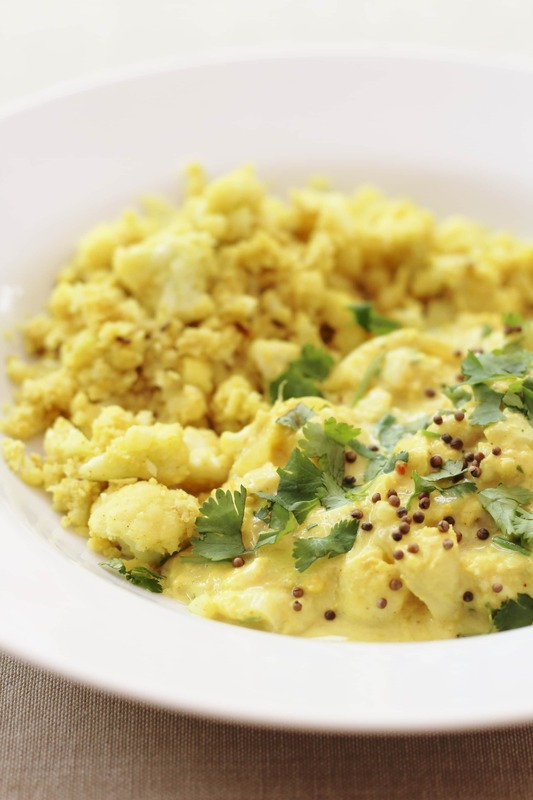 I have recently taken up running and now I am working on my diet – trying to fill my plate with lots of healthy, nutritious food that is also delicious and above all EASY! I have been quite intrigued lately by the phenomenon of clean eating (yes, I know I’m a little late to the party!) and so have been compiling a little list of clean eating recipe books I want to review. I find if I review healthy recipe books I have no choice but to eat more healthily! 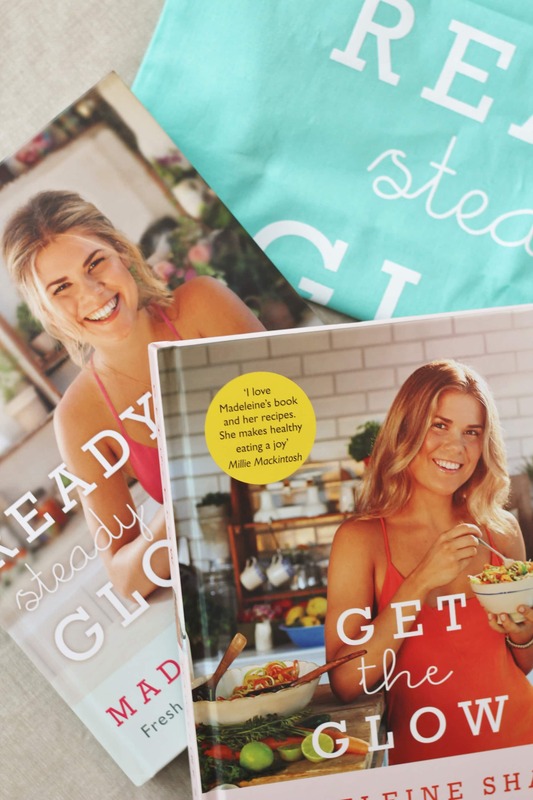 One of the items on my wish list was Madeleine Shaw’s two books Get the Glow and Ready Steady Glow. A couple of weeks ago I was checking my twitter feed – as you do (well, I do – a lot – but it’s for work, right? So it’s ok…) and one of the many Twitter competitions popped up – this one was offering both Madeleine Shaw books and a Get The Glow bag. Since all I had to do was follow and retweet, I did – it’s hardly difficult is it? But I kind of assumed that since it was that easy, they would get loads of entries…and maybe they did (or maybe I was the only entrant, who knows?! ), but the next day I got a lovely little tweet saying I’d won and a few days later, this fab little parcel arrived with signed copies of Madeleines books – yey! Well, after scooping such a fabulous prize, it felt rude not to review the books. I will review the second book next week, when I’ve finished munching through the recipes (avocado on toast today – can’t wait! ), but today I will focus on Madeleine Shaw’s first book Get the Glow. Madeleine Shaw is a bestselling author, wellness blogger, health coach and all round healthy eating guru type person who is on a mission to spread her healthy eating message. She is passionate about eating well and living well – not just to lose weight, but also to look good on the outside and feel good on the inside. 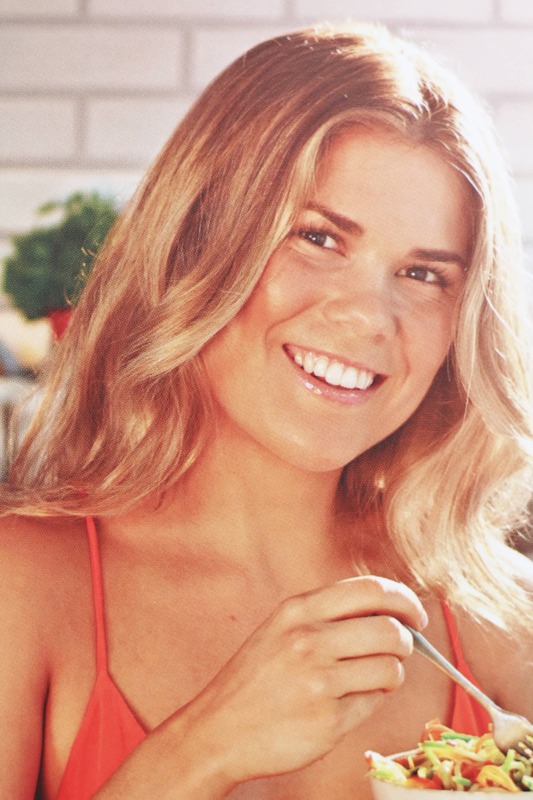 Madeleine Shaw first discovered healthy eating while working in an organic café in Australia, In her book, Madeleine describes this time in her life as a wake-up call. Previously she had been foggy headed and bloated, with IBS, dull skin and lifeless hair. But her experiences in the café, and in Australia generally, encouraged her to eat more wholesome food, start exercising and ultimately study nutrition, which she did, before returning to the UK to spread her healthy eating message. Since then she has gone on to start a healthy eating blog and run a successful health coaching business as well as writing two bestselling cookbooks. She also runs cookery classes and pop-up supper clubs – and she’s only 26! Impressive!! The book is really a book of two halves: the first half focuses on her 6 week Get the Glow programme, where she teaches her approach to healthy eating, the second half is full of her delicious recipes which support her nutritional philosophy. Madeleine’s philosophy is pretty simple: and she sums it up in one phrase “you are what you eat” – if you eat rubbish, you’ll feel rubbish (and look rubbish) – if you eat well you will feel and look well. Madeleine’s take on eating well is to ditch sugar and processed food and instead cook from scratch, eat lots of fruit and veg, drink plenty of water, eat healthy fats not low fat (according to Madeleine lots of low fat products are full of sugar, whereas full fat fills you up better and helps your body absorb fat-soluble vitamins) and make sure you get plenty of good quality protein. Madeleine’s approach is change in lifestyle rather than a quick fix diet and she doesn’t advocate counting calories, but rather focuses on portion size and avoiding too much snacking. One of the things I love about the book is that is written in such a lovely happy tone – it’s almost as if your best friend is chatting to you – she is so encouraging and positive, but at the same time completely realistic. By the end of the book I wanted to hug her! 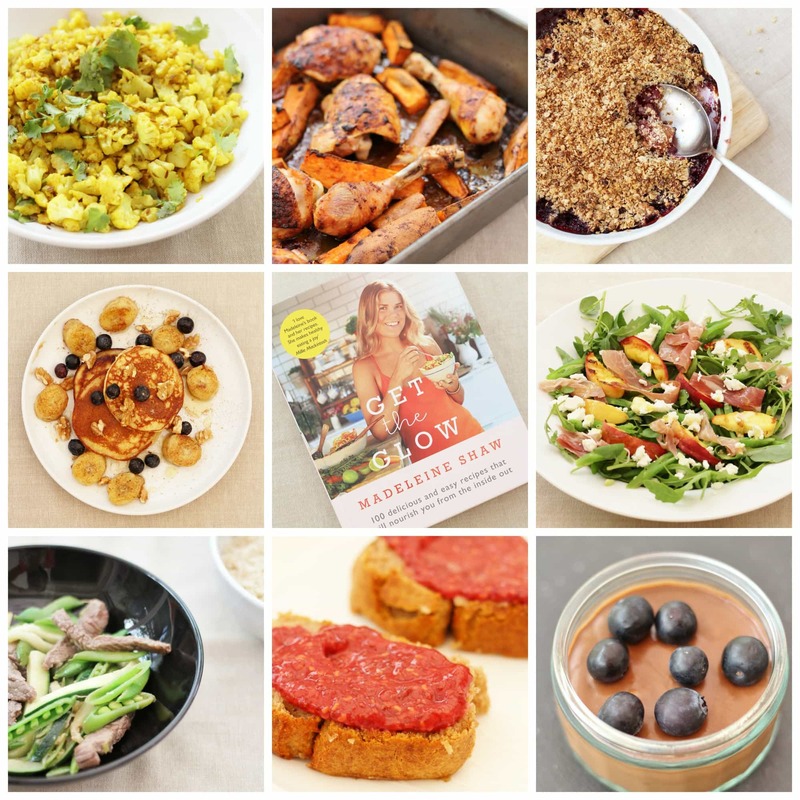 The first section of the book is dedicated to Madeleine Shaw’s 6 week Get the Glow programme. I really love this section as Madeleine encourages her readers to gradually change their diet rather than try to change everything at once. So, for example, the first week is all about giving up refined sugar. She clearly explains why giving up sugar is a good idea and gives lots of great hints and tips on how to reduce sugar consumption and advice on where hidden sugars might be lurking. And there is a great Q&A section at the end with lots more helpful advice. The following 5 weeks follow a similar pattern. In week 2 Madeleine encourages her readers to avoid low fat products, which are often highly processed and contain a lot of sugar, and instead eat healthy fats, such as olive oil, full fat yogurt, avocados, nuts and seeds, oily fish and free-range eggs. In week 3 she gives some really useful advice about staying positive. Week 4 is all about eating fewer carbs – particularly the processed white kind and eating more protein, vegetables and wholegrains. In fact, Madeleine advises cutting out gluten altogether – I’m not sure about this one, but certainly eating less processed white carbs and eating more wholegrains and vegetables sounds like a good idea! In week 5 Madeleine encourages us to eat mindfully – all common sense stuff really, like eating at a table rather than in front of the TV, eating more slowly and stopping when you are nearly full rather than automatically having seconds. In this section she also encourages us to exercise more and sleep more – again with hints and tips on how to manage that in a busy life. Finally in week 6 Madeleine encourages us all to snack less and more healthily, and gives helpful advice on how to deal with friends who try to lead you astray! I haven’t been following her advice rigidly, but I have been following her general principles and eating lots of her recipes over the last couple of weeks and I can honestly say I haven’t felt hungry and I do feel good – and I’ve even lost a couple of pounds – hooray!!! The rest of the book focuses on Madeleine’s delicious recipes, which obviously all support her take on healthy eating. This section is divided into Breakfast, Snacks, Soups and Light Salads, Speedy Suppers, Weekend Wonders, Sweet Treats and Drinks to Glow. I found having the book divided up in this way really helpful when it came to meal planning – I knew at a glance what would be a good lunch dish (AKA Soups and Salads), what would work well for dinner and what would take more time and effort and therefore was best done at the weekend. The recipes are very clearly laid out with a little explanation at the top, which often focuses on why the recipe is good for you. The photos are gorgeous and definitely a great encouragement to eat more healthily. Frustratingly, the steps are not numbered (though a lot of the recipes are so simple, numbering is not really necessary), and there is no indication of how long the recipes should take – though I have noticed that she has included timings in her second book, so I am assuming I was not the only one to be frustrated by this! And hoorah for a writer who listens to readers and improves things in the second book!! One thing to note, though, is that her recipes do often call for some slightly unusual ingredients…chia seeds, goji berries, various nut milks and coconut sugar for example. I found most of these products were easily obtainable from my local Tesco, however, and the few that weren’t I either substituted with something more normal (I couldn’t find coconut sugar, so I substituted with honey, for example) or just left out altogether. The first recipe I made was Madeleine’s almond pancakes – for lunch rather than breakfast as I never have any time in the mornings (pancakes for lunch, I know – it’s a hard life this blogging lark!) 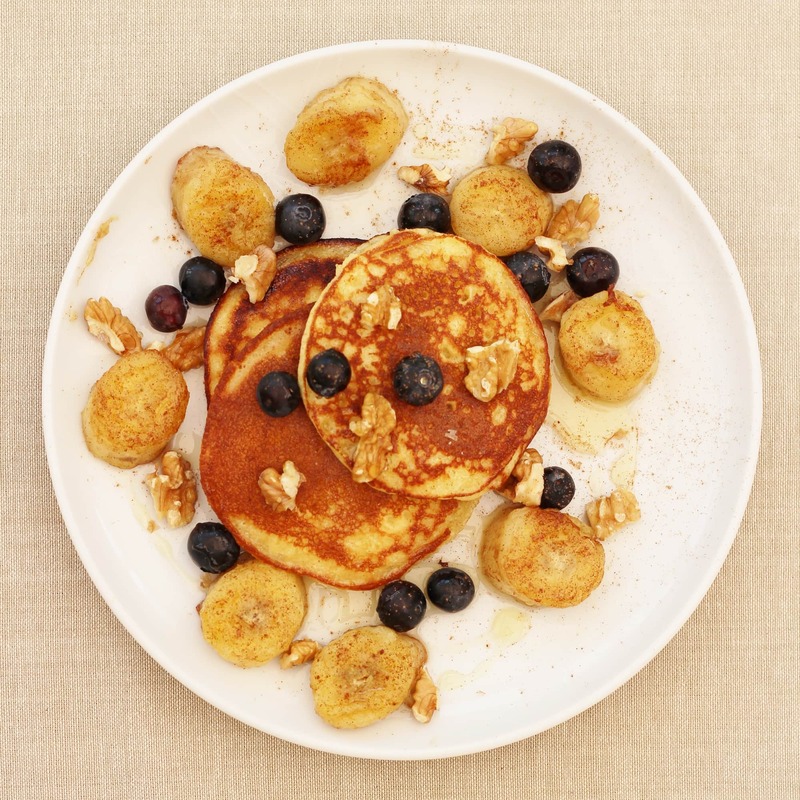 and oh my goodness – I have never tasted such good pancakes! It is very hard to believe they are gluten and dairy free! They are so easy to make too – the mixture is quite thick, so it’s easy to shape the pancake in the pan and even the first one came out looking pretty perfect – which NEVER happens for me! I made half the quantity in the recipe and it made 5 pancakes – but this recipe was so filling I could only eat 4 of them. Next up, I tried Madeleine’s gluten, dairy and sugar free banana bread. And I must confess, it sounds a bit grim and it didn’t look great BUT it tasted fab! Especially slathered with Madeleine’s Raw Raspberry and Chia Jam. I nearly made a big mistake with this recipe. I couldn’t get hold of coconut sugar and so was planning to substitute with honey…but then I nearly forgot the honey and only remembered just at the last moment…but then just as I was about to put it in, I gave the mixture a little taste and decided it was sweet enough already from the 4 ripe bananas, so took the totally mad step of leaving all 250g sugar out – but do you know what? It worked and tasted fab just as it was! My version of Madeleine’s banana bread is made from bananas, coconut oil (but you can substitute with butter if you want), an egg, ground almonds and buckwheat flour, plus a touch of cinnamon and vanilla and absolutely no added sugar! And the best thing of all – my kids wolfed it down and demanded seconds! 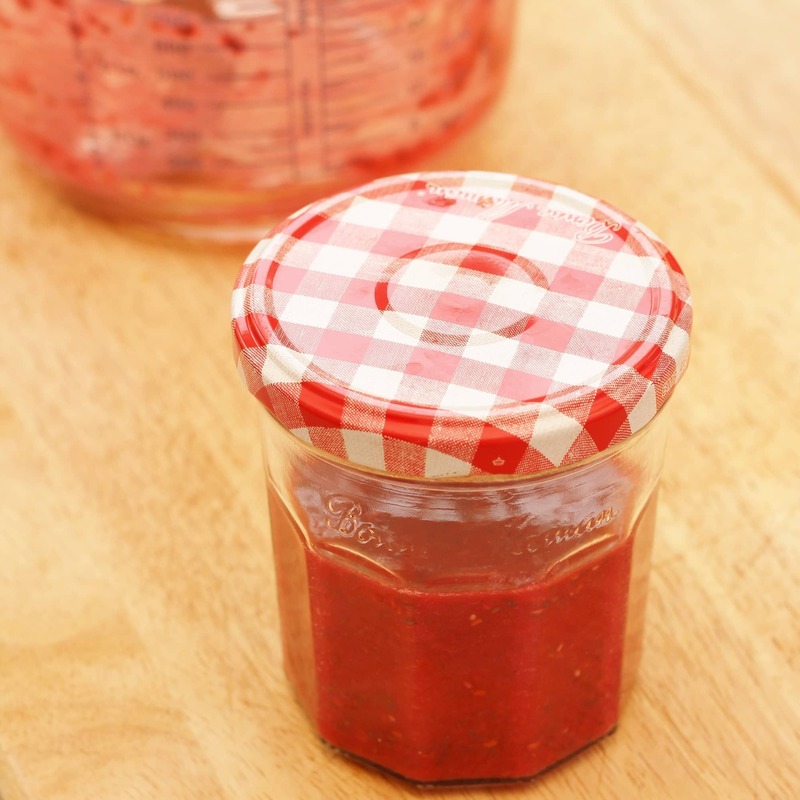 As easy peasy recipes go this one is fab – all you have to do is mix pureed raspberries with chia seeds and a touch of honey for sweetness (you can leave the honey out if you don’t mind the tartness of raspberries) and then pop the mixture in the fridge and hey presto 30 minutes or so later you have a jam like consistency, plus added goodness in the form of chia seeds! 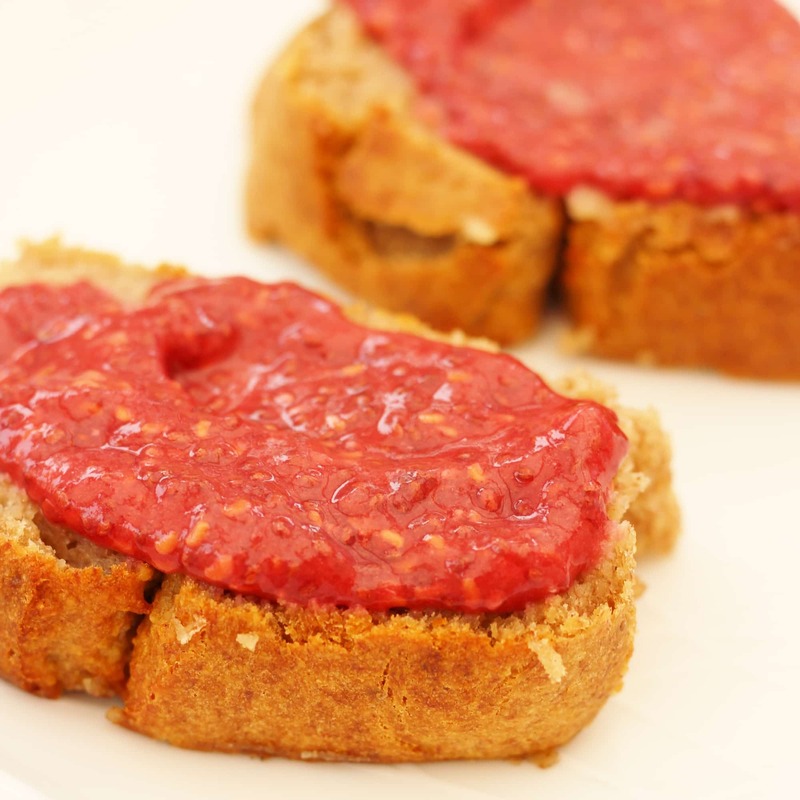 The jam is quite tart – my kids didn’t really like it, but my husband and I thought it tasted great! 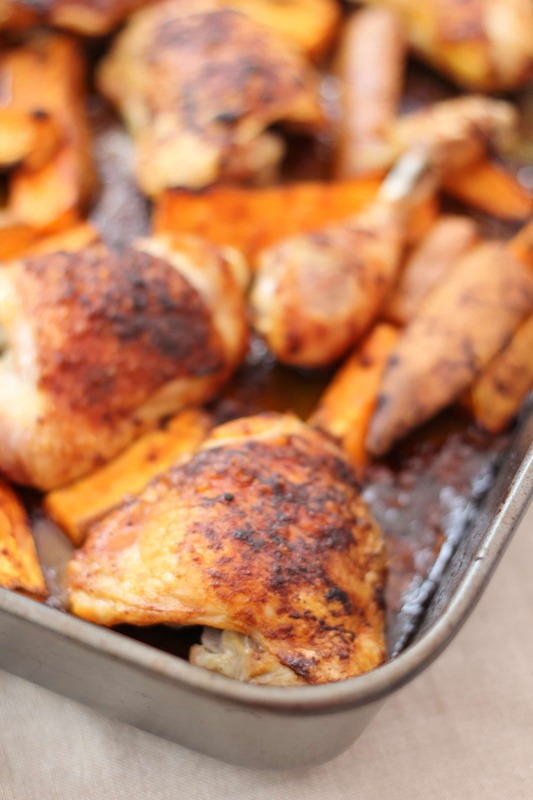 This is Madeleine’s take on the traditional Sunday Roast and boy is it a good one! Madeleine swaps roast potatoes for sweet potato wedges and slathers everything in a gorgeous coconut oil, smoked paprika, cayenne pepper, lime juice and garlic rub. The effect is amazing! 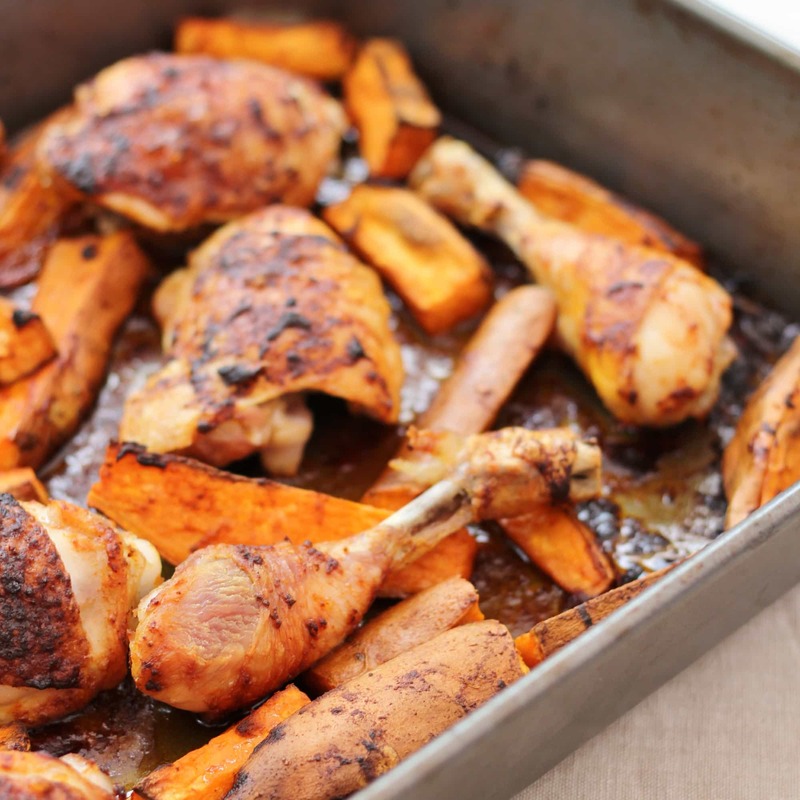 The chicken and wedges taste just gorgeous – this was easily one of my favourite dishes of the whole week. I made it a wee bit simpler by turning it into a traybake: using a pack of chicken thighs and legs instead of a whole chicken. This had the effect of dramatically reducing the cooking time (from 1h20 to 45 minutes) and, in my humble opinion, making even tastier! We served this with a simple side of green beans and it was totally delicious! Another one the kids ate without complaint. Yey! 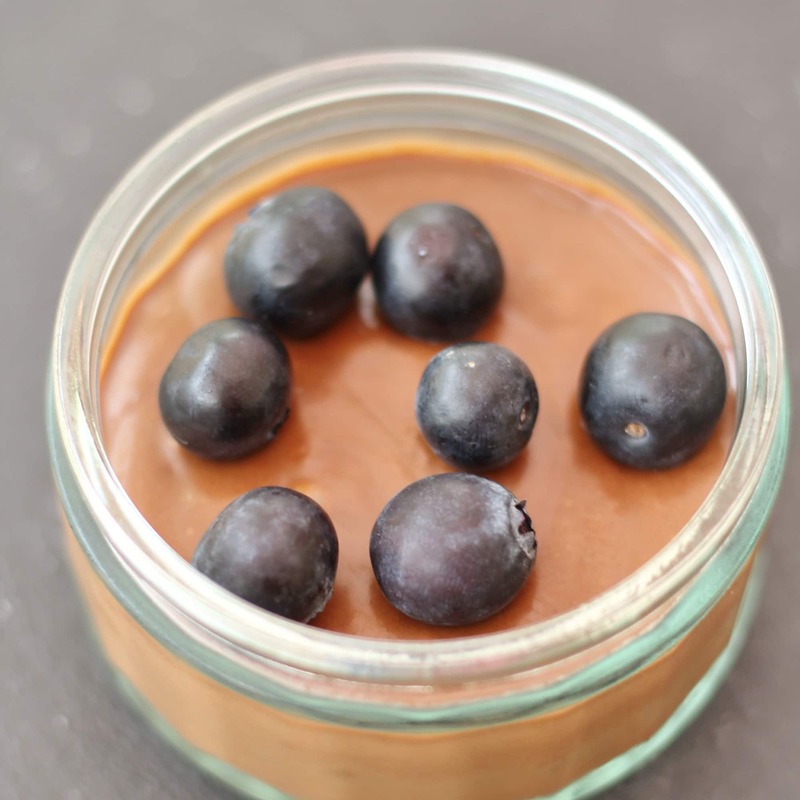 A totally fun pud to try – a chocolate mousse that takes minutes to make and contains no sugar and no eggs. 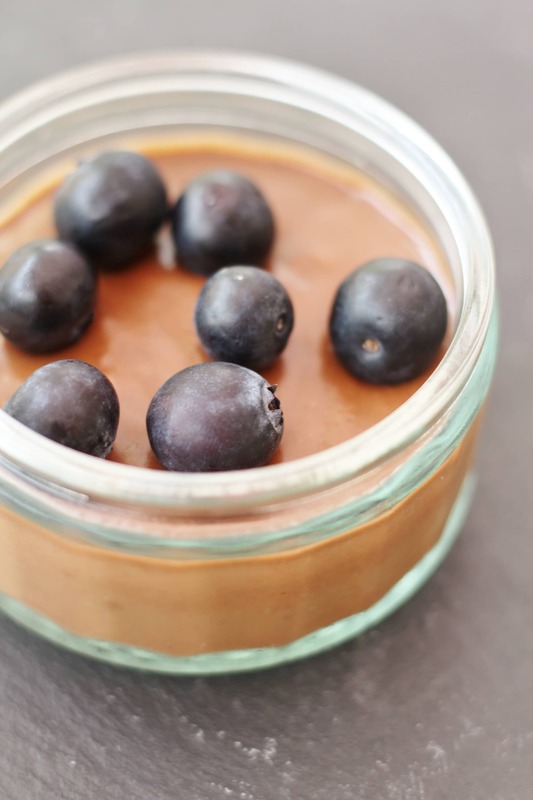 Instead the mousse is made from avocado, banana, cacao powder (though you could use good quality cocoa powder, if you prefer) and almond milk (or you can use regular milk). I have to admit, the texture was more chocolate pot than mousse, but hey – who’s complaining when a chocolate pudding is so good for you! And even better, my kids thought this was fab and ate the lot! They seemed to think it was just as good as the sort you get from the supermarket that’s stuffed with sugar and random additives – result! This was the only recipe that I tried that I didn’t like – don’t get me wrong – the idea and ingredients are fab, but I just thought the method let it down. However, I think with a few tweaks it could be amazing. The recipe suggests frying the onions first, followed by the garlic, ginger and chilli – then adding in the beef for a minute and then the green veg for 3 minutes – this resulted in steak that was kind of grey and overdone and a pool of beef fat and juices at the bottom of the pan, which in turn meant the green veg was more steamed than fried. And by the time we came to eat it (which admittedly was after taking a few photos), the veg was very overdone and not at all what you’d expect from a stir fry. If I were to make this again (which I almost certainly will because I love the idea! ), I would fry off the steak first on a high heat so it browned nicely on the outside, but without overcooking on the inside, then I would tip the steak out onto a plate to rest. 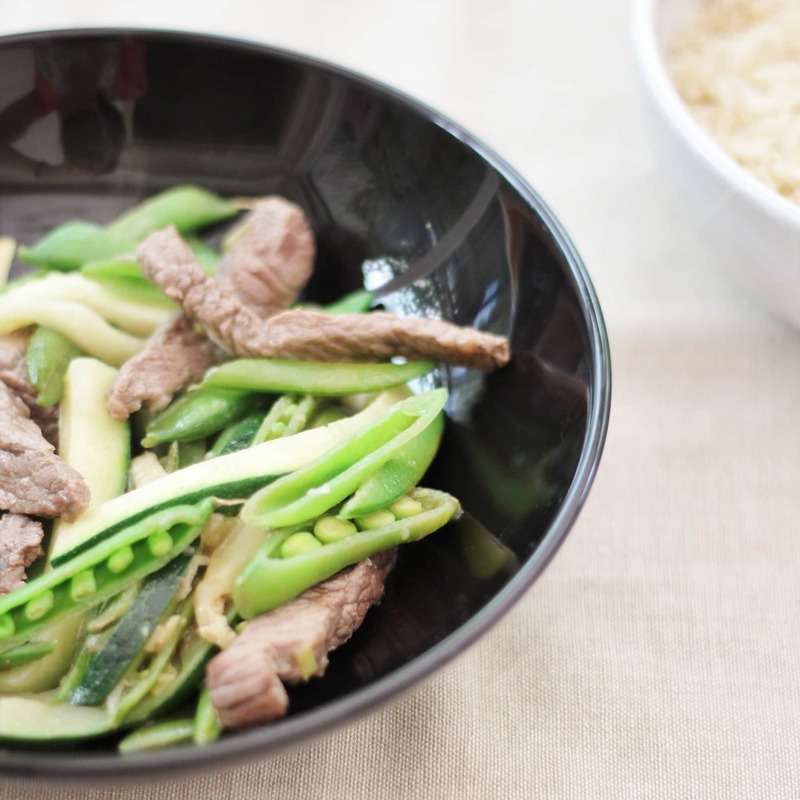 I would then briefly stir fry the veg before adding in the ginger, garlic and chilli in at the end (to ensure they don’t burn) followed by the steak (minus the juices) and some soy sauce – I think done like this, this dish could be amazing! I think I’d also like to add some cashew nuts in for extra crunch and goodness and probably a few extra veggies for more colour – this dish was a bit monotone! It looked better in the book as it had loads of chilli on top but I was cooking for kids (and I’m a bit of a wuss when it comes to chilli) so that wasn’t an option. This recipe also calls for a spiralizer, which I don’t have, but I find just cutting a courgette into long thin strips works perfectly well. 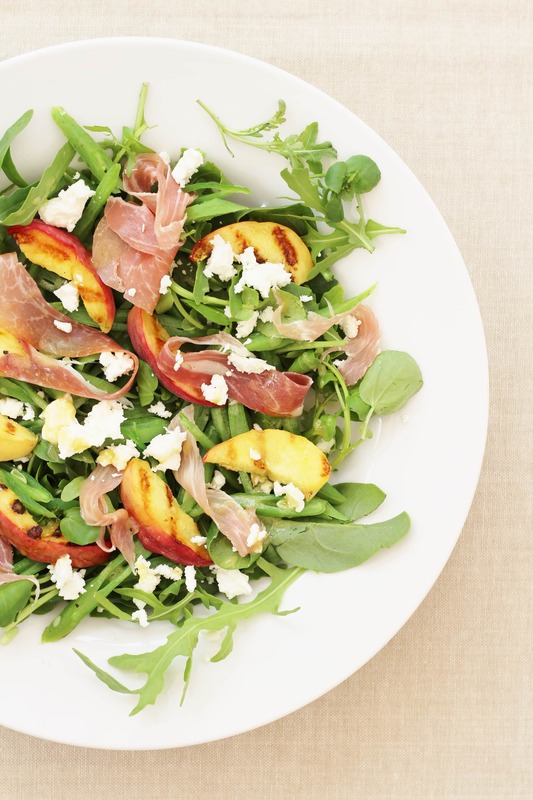 There are quite a few simple salad recipes in this book – perfect for lunches. This one was my favourite by far. 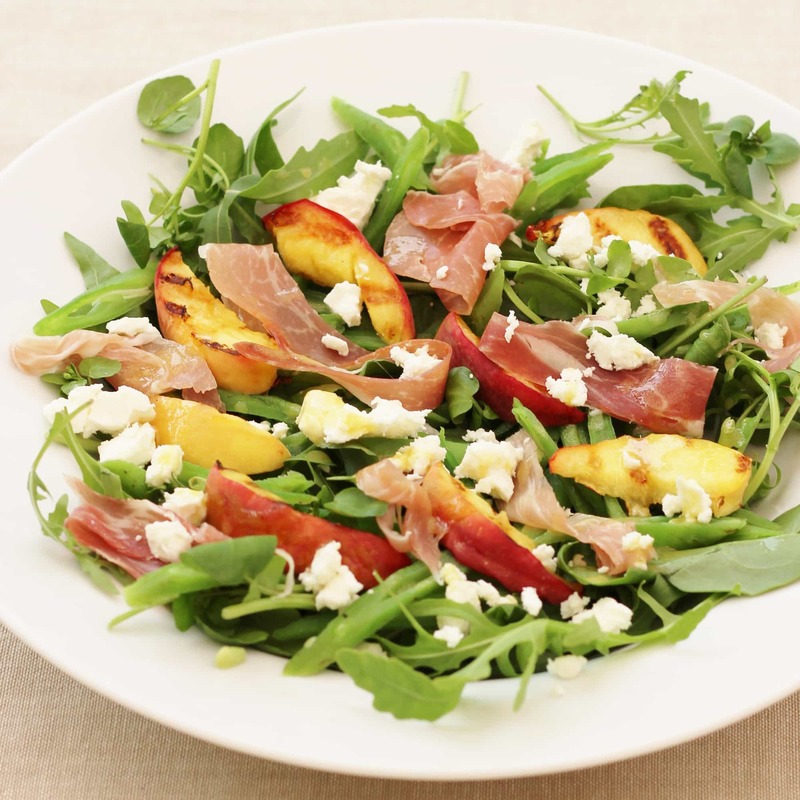 Made with peaches, parma ham, feta cheese, runner beans, rocket, watercress and a simple honey and mustard dressing, it was just full of my favourite flavours and very easy to throw together…the only thing I would change is that another time I probably wouldn’t bother grilling the peaches – they were nice, but a bit faffy. Next time I’d just go for a lovely ripe raw peach, instead. 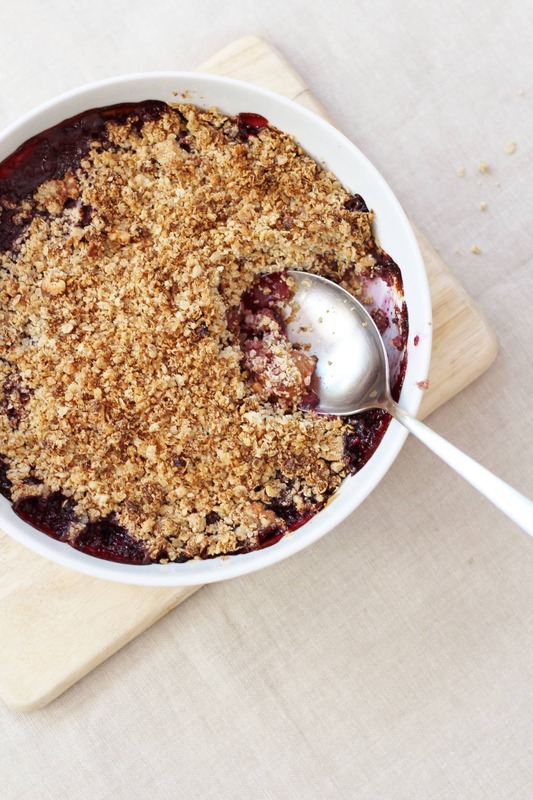 I do love a good crumble but I don’t tend to have it much due to the fact it contains large quantities of sugar and white flour, but I totally love Madeleine’s take on a crumble – she has taken a bit of a naughty treat and turned it into a total health food – what a girl! 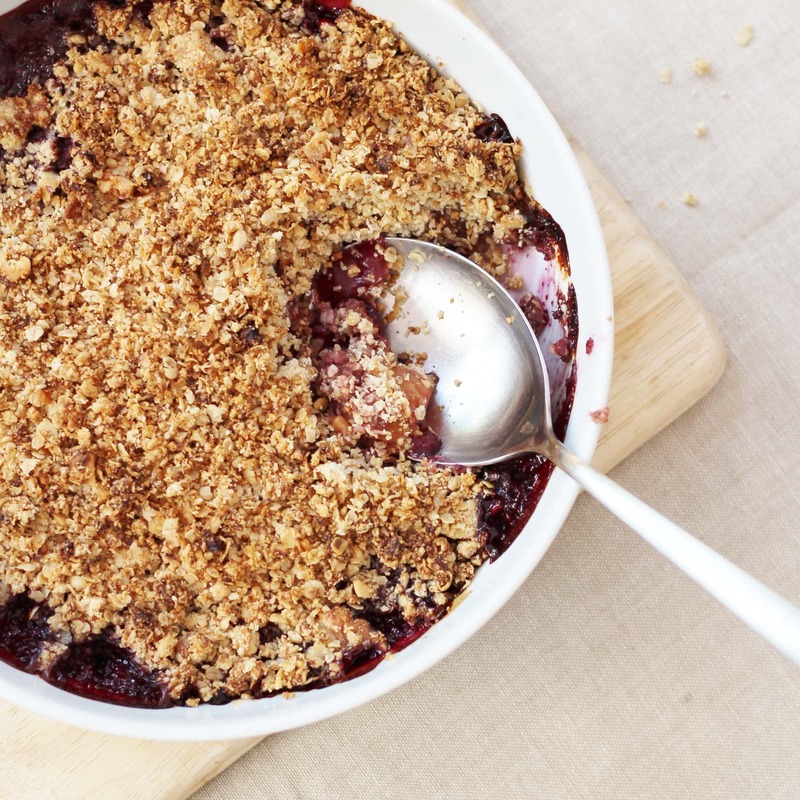 I had this with natural yogurt and my kids and hubby had this with ice cream – and amazingly the kids loved it – especially my little boy who came back for seconds…of the crumble not the ice cream! This is a great book if you want to eat more healthily and are looking for a complete lifestyle change rather than a quick fix diet. It’s also good for people who want to make that change gradually rather than all at once. It is also great for people who love their food – the recipes are delicious and very inspiring and don’t feel like deprivation in any way! This would also be a great book for anyone who needs to follow a gluten free, dairy free or sugar free diet. All of her recipes are gluten free and many are dairy free. 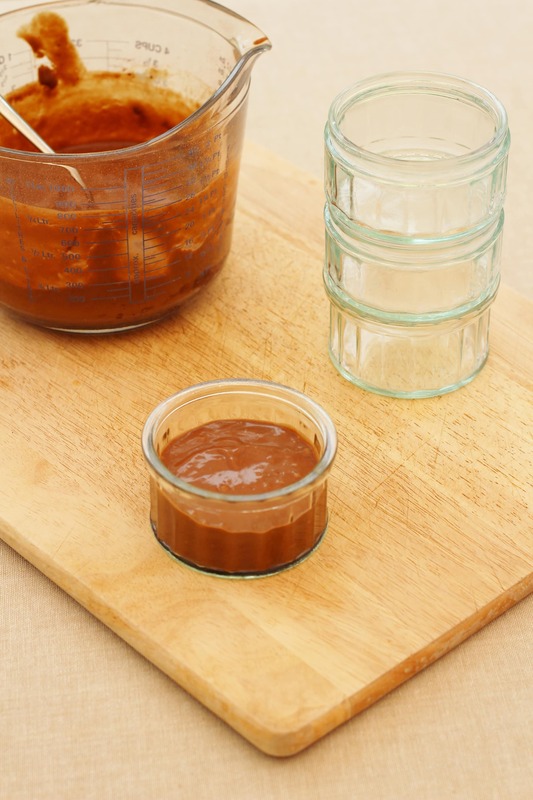 None of her recipes contain refined sugar, instead she uses the natural sweetness of fruit and/or sugar substitutes such as honey and coconut sugar. Though not a vegetarian herself, Madeleine is mindful of vegetarians and vegans and there are plenty of meat and dairy free recipes. This book is awesome and there isn’t much I’d change, but I did find a lot of the recipes called for slightly more unusual ingredients such as chia seeds, buckwheat and coconut oil. Nearly all of these were available at the supermarket, but I had to hunt for a few in my local health food shop, so if you prefer using more ‘normal’ ingredients, this might not be the book for you. Also if you have kids (or grownups!!) in your house who don’t like trying new things or who turn their nose up at vegetables, this might not be the book for you either. 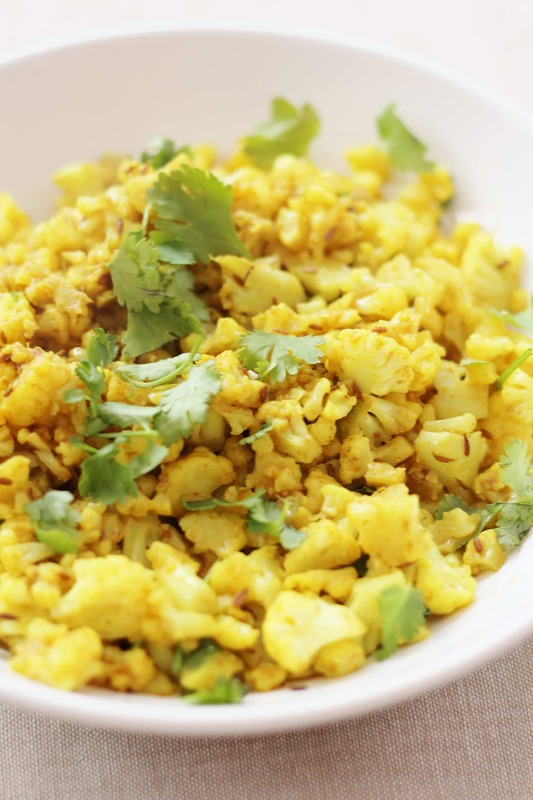 I am fortunate in that my other half will eat pretty much anything and my kids really love vegetables and don’t mind things like spices or herbs on their food – they even like stuff like nuts, seeds and brown rice (I know!!! 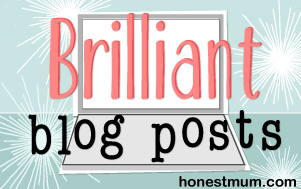 When I’ve worked out what I’ve done right, I’ll write a book – ok! 😉 ) But if you live in a house of fusspots, then these recipes might be a hard sell. Madeleine does use gadgets A LOT. Many of her recipes call for either a food processor, a blender, a spiralizer or a juicer. If you are not a gadgety cook, this might be a problem. I managed to make most things with my little hand blender, but cauliflower rice didn’t work well, so I ended up just chopping that – a bit of a laborious task. And I made the courgette noodles with a knife rather than a spiralizer, which worked fine, but took a bit of time. I know this book won’t be for everyone, but if you like the idea of eating a little more healthily this summer and want an easy to follow plan and loads of delicious recipes, which are all about celebrating the deliciousness of healthy food rather than counting calories and depriving yourself then this would be a great purchase! This book is crammed full of inspiring recipes that make you want to rush out to the shops and buy chia seeds and avocados. And Madeleine is genuinely inspiring in the way she writes. It is not at all about putting you down and making you feel bad – quite the opposite, reading this book is a real boost to your confidence and I found I really wanted to eat more healthily after reading it! And don’t forget to come back next week when I will be reviewing the sequel ‘Ready Steady Glow’! P.S. Enjoyed reading my review of Get the Glow? Why not check out all my other reviews? What a great book to win Eb 🙂 I totally agree with her mantra ‘you are what you eat’ but I openly confess that I find it incredibly difficult to stick to a ‘clean’ food diet, I can often manage it for a few days or perhaps a week but soon a chocolate bar will start calling me (especially if I’m feeling hormonal!). I love the sound of her recipes especially the cherry crumble, mmm yum, and the chocolate pot. I think it says it all when your youngsters ask for a second portion 🙂 The natural sweetness and goodness of the ingredients clearly satisfy any sweet (etc) cravings.